Click here to go to the official website of Avast Pro Antivirus for a purchase. Pro version has a Real Site feature which is refreshing. If you want to use Avast Pro at its full potential, you will have to purchase some extras. If you think about an antivirus product that has a ton of features in both its free version and Pro version then Avast Pro Antivirus 2017 is your answer. Regardless of its price, it is among the best antivirus products in the market today. Of course, some users may find the free version to offer more than enough features and protection for everyday use. Antivirus vendors make antivirus products for one purpose. And that purpose is to protect the user from malware. Antivirus products must perform this rather basic task to absolute perfection. 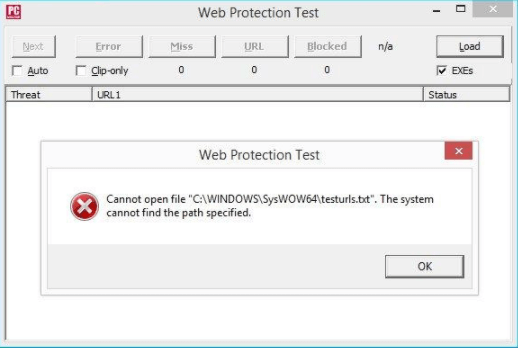 If a malware enters a user’s PC and the antivirus product is unable to stop it from building a base there, then that antivirus product is obviously a fail. Moreover, modern antivirus products must perform other jobs as well. They must clean up the user’s computer if the user’s computer already has malware on board. And there are antivirus products that go beyond than just protecting the user from malware and other cyber attacks. 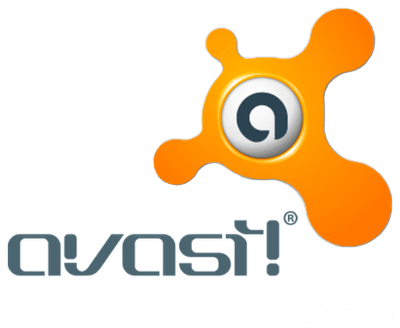 Avast Pro Antivirus is one of those antivirus products that truly go beyond what the user expects. In other words, Avast has a lot of bonus features. And these aren’t just bonus features for the sake of bonus features. Most of these features are quite impressive. Avast Pro Antivirus has a password manager (though it is basic in nature). It also comes with a unique tool that allows the user to monitor the security of the whole network. We have reviewed so many antivirus products now that we are starting to recognize a pattern. That pattern is that most, if not half, of all elite antivirus products, charge users the same price as Avast Pro Antivirus. That price is $39.99 every year for one device. We also have a fifth commercial antivirus in the shape of McAfee. That one costs around $59.99 every year. But it is expensive for a reason. McAfee allows users to install its protection software on as many devices as the user wants to. It supports all major platform such as Windows, iOS, macOS, and Android. However, this is an Avast Pro Antivirus review so we won’t talk about McAfee anymore. As mentioned before, Avast Antivirus has a free version and a paid version called Pro. But you wouldn’t know that by looking at the main windows of both products. In fact, it is actually difficult to distinguish the two versions from each other. Each version has a slate-gray themed background. Both versions have a left-rail options menu. There are also some green and purple panels and buttons in there somewhere. We know, it does sound strange. But of course, for Avast it works. There is a Protection option in the main menu as well. 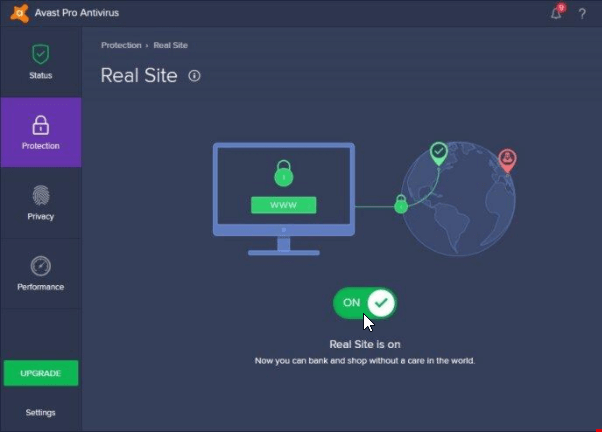 If you click it, you can clearly see that a few of the shown items break away from the main padlock icons they showcased in the company’s free antivirus edition. With that said, there is no doubt about the fact that the Avast free edition has a considerable amount of bonus features. These are basically advanced features rather than just cosmetic stuff. Moreover, Avast is different from standard antivirus vendors in the sense that it allows users to use the free edition of the company’s antivirus product in a given commercial setting. Does the free version hurt the sales of the Pro version? Apparently not because Avast hasn’t done anything about it. By the look of things, it looks like this model is working for Avast. As we have mentioned before, the Avast Pro Antivirus has almost the same features as the Avast Free Antivirus. And that is a significant statement. Of course, we’re only going to review the Pro version of Avast Antivirus here in this Avast Pro Antivirus review. We want to focus on the special things that are present in Pro. So let’s leave the Free version for another review. We will discuss these in appropriate sections throughout this Avast Pro Antivirus review. There are a ton of independent labs that carry out tests to measure the effectiveness of antivirus products. We think that about five of those are good enough to judge how good a particular antivirus product really is. Our research for this Avast Pro Antivirus shows us that Avast scores pretty well on most of these tests. But it isn’t the greatest. But that’s only as far as independent lab results are concerned. Otherwise, as we shall see in the remainder of this Avast Pro Antivirus review, Avast Pro Antivirus is pretty solid. Based on the results from various independent lab results, we think that Avast Pro Antivirus deserves a rating of eight and a half stars out of ten. 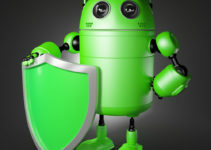 Other elite antivirus products such as Kaspersky Anti-Virus have scored slightly higher with a near-perfect nine and three fourths of a star out of ten possible stars. Our research for this Avast Pro Antivirus shows that Avast is actually great when it comes to testing for malware samples. It detects around 97 percent of all malware samples. That earns it a score of 9.7 out of a possible 10. As you can probably imagine, this is a very good score. Other top antivirus products such as PC Matic, Webroot SecureAnywhere AntiVirus, and Comodo have scored a perfect 10 on these malware tests. Do take note that reviewers have found Avast pretty difficult to test when it comes to its anti phishing features. 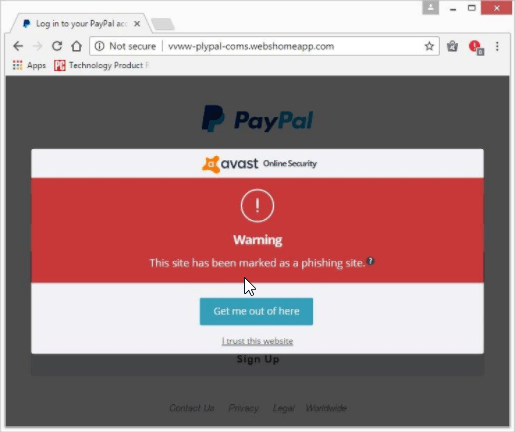 Regardless, when we got down to business, our research told us that Avast Pro Antivirus is very good at protecting the user from phishing sites. The best antivirus product for anti phishing features is without a doubt Norton AntiVirus Basic. And Avast Pro Antivirus managed to score just two percentage points below it. Moreover, it blew the likes of built-in phishing features in Internet Explorer, Chrome and Firefox, out of the water. We already know that both the free version and the paid version have great features. Avast Pro Antivirus is quite amazing in that respect as well. It has a Wi-Fi inspector component. Performing the unconventional task of scanning the user’s network. It can scan both wireless and wired networks. Then it finds any security flaws within the networks. Avast Pro Antivirus also comes with a Software Updater. As the name suggests, this feature looks for software targets along with browsers that are missing some of their critical security patches. Moreover, Avast Pro Antivirus also allows you to create one of your own bootable rescue disk. A rescue disk can act as a life saver if an aggressive malware damages your computer machine. Most of the nasty malware attacks will try to make your system unbootable. If that happens, then the rescue disk feature can save you a lot of time and headaches. Avast Pro Antivirus also comes with a password manager. But in all honesty, it is quite simple and basic. If you move ahead and install Avast Online Security web browser extension then you can access some more exclusive features. The Online Security extension can help you stay away from links that appear in search results but are unsafe to open. It gives you a warning to alert you if it detects something fishy. It also blocks those annoying ad trackers actively. Sometimes if you don’t type the correct URL, then it also helps you to correct those mistakes. Avast also has a SafePrice feature which comes in the form of an extension. This feature basically takes your browser into its Bank Mode. In this mode, you can visit your financial website safely and securely. Think of it as an another desktop. Only that it is isolated from all the bad stuff such as keyloggers, malware and unwanted but dangerous hangers-on. If you make your way to Avast Privacy page, you can find a special button over there. If you click it, it will invoke a VPN service known as SecureLine VPN. Click on the VPN service icon and it shows the user a warning message. It tells the user that the user’s connection is not really private. But of course, the user would already know that if he/she used or didn’t use a VPN service. There is also a button aptly named Go Private. Click this button that you’ll get a message. But basically a pricing page. 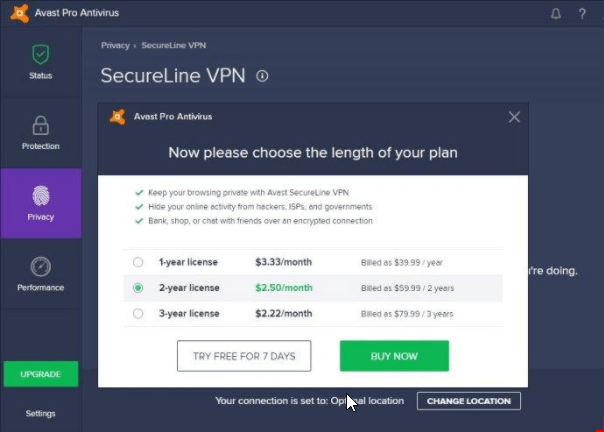 In other words, SecureLine VPN feature in Avast isn’t really a feature. It is a SecureLine product that Avast includes in its list of bonus features as a separate purchase. And yes, that fact is true regardless if you buy the Pro version or just download the free version. Avast Pro Antivirus also comes with a Cleanup feature. If you use this feature (you’ll first have to go to a Performance page) then it will give you a similar price structure information package. On to the real features that are present in the product then. Avast Pro Antivirus has a Check My PC feature. It too comes in the form of a button. When you click it, it comes up with a report that lists all the junk files it finds in the user’s machine. It also searches for obsolete or redundant Registry data. If you happen to have some inefficient and ineffective system settings, then it will report that as well. Naturally, you would think this feature would solve all of the found problems as well right? If you ask it to then it takes you to yet another price information list. This is also the case if you download the free version of Avast. Other top Antivirus products such as AVG AntiVirus Free also come with a Clean Up feature. But AVG has that as a premium feature. Moreover, AVG implements this scheme in a more practical and less disappointing way. If the user wants to use the TuneUP feature for AVG, the user can use it. But when it user tries to fix the issues, AVG will simply provide the user with a single-day free trial of the company’s full product. That is a better way of trying to upsell to your customers. Avast should learn from AVG in this regard. 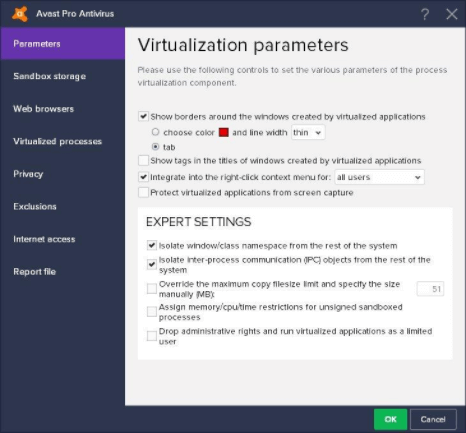 As mentioned before, most of the features that you will find in Avast Pro version, you can also find in the free version. So do you get anything that the free version downloaders don’t get since you are paying for your antivirus product? But it is rather complicated. Avast has tried to change its message constantly in order to attract more customers to its Pro version. But most of the advanced features that Avast Pro Antivirus offers are for users who like to mess around with their software applications. Previously, Avast had this Secure DNS feature. Not Avast has a Real Site feature. This component basically protects your system by securing its connection to a non-sketchy and reliable DNS server. It stands for Domain Name System. Translate domain names which are in the human-readable format (like www.securityzap.com) into real IP addresses such as 27.214.111.86. Cyber criminals are smart people. Sometimes they can subvert a user’s system with clever tactics. In other words, they can compromise your DNS settings. And then they can force your browser to redirect to a website that is fake. Once this happens, your Address Bar becomes useless. Because it doesn’t take you to the URL you tried to get to. It takes you to the place the hackers want you to go to. This is what some call DNS poisoning. It is more like phishing but of course, it damages a user in a more subtle fashion. Real Site is not really a headline feature. In other words, the work it performs doesn’t pop up on your screen like crazy. The user’s don’t even get to know about the threats the Real Site feature protects them against. 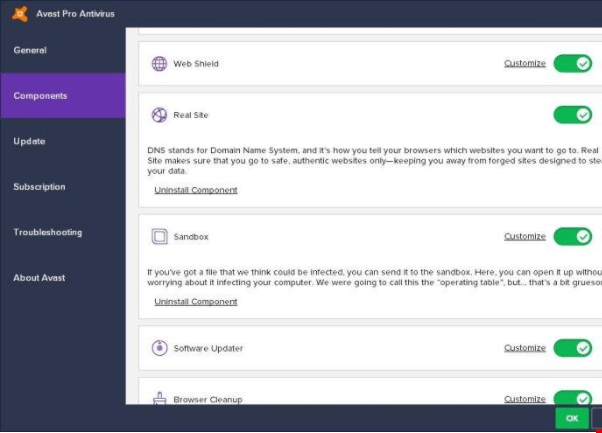 If you happen to have a dangerous program lying around in your computer machine, and you want to execute it, Avast has a Sandbox feature for you. You can run that unsafe or potentially unsafe program in that Sandbox. This feature basically virtualizes all Registry and file changes that the unsafe or potentially unsafe program makes to your system. Whenever that unsafe program terminates, Avast deletes all of the changes made. But how useful is this feature? In other words, in the past year or so, how many times have you run programs which look sketchy? The other problem with Avast Sandbox feature is that it can mess up your unsafe program that you are trying to run. Well, the sandbox feature has its own privacy settings. And these can sometimes clash with the proper operation of a program that you have executed within the Sandbox environment. Sometimes, you will see that you run a program in the Sandbox mode but it won’t operate properly because your desktop couldn’t or wouldn’t load the program’s data file. Avast can also identify sandboxed programs. It does that by attaching a kind of a flag to them. The flags appear slightly above the program’s title bar. This happens by default so you don’t have to change anything here. Of course, you can change it if you want to. You can tell Avast to make use of a colored border for the Sandboxed program instead of a title bar flag. Ordinary users would not want to go beyond such settings as far as the Sandbox feature is concerned. If you don’t have some serious and nasty tech chops, you shouldn’t really mess with the advanced stuff in Sandbox settings page. Should You Pay For Avast Pro Antivirus? 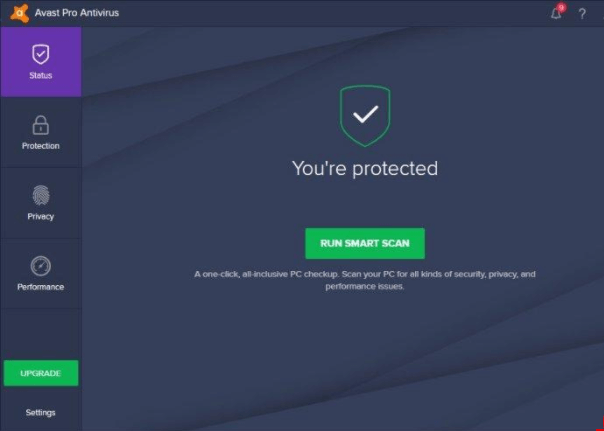 Throughout the duration of this Avast Pro Antivirus review, we have mentioned time and time again that Avast Pro Antivirus, without a shadow of a doubt, is a good antivirus product. It has scored good marks with all independent lab tests. Avast is even better in malware and phishing tests. Its cornucopia of extra features are what sets Avast apart from other average antivirus products. Of course, they are also available in the free version of Avast antivirus. The Avast Pro Antivirus version adds to that already impressive list of features. It has a protection feature against any DNS poisoning attempts. Moreover, features like Sandbox are perfect for users who want to run unsafe programs from time to time. The only problem is that Avast Pro Antivirus and Avast Free version do not have much between them. And that’s where we think the price is a bit too much. Of course, Avast can just stop giving away its free version for no charge and then we would have an antivirus product that fully merits its price. In fact, we think that most users would find the free version perfectly sufficient. Other antivirus products such as Kaspersky Antivirus and Bitdefender Antivirus Plus also score excellent marks from independent testing labs. Antivirus products such as McAfee Antivirus Plus provides protection for an unlimited number of devices. Then we also have the Symantec Norton AntiVirus Basic which has a great spam filter feature along with a solid intrusion prevention system and password manager. There is Webroot SecureAnywhere Antivirus as well, which is indeed the tiniest and the lightest antivirus product in the market today. What we mean to say is that each antivirus product comes with its own set of advantages and disadvantages. You have to decide which one fulfills your needs to the max for the best price.